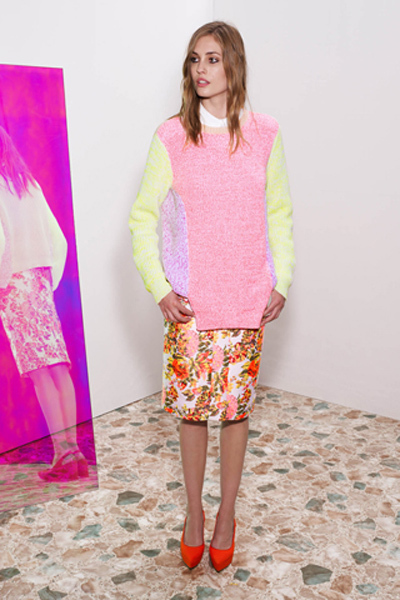 Stella McCartney is famous for her minimalist designs. It seems that from year to year she only gets better by adding more femininity to her creations. 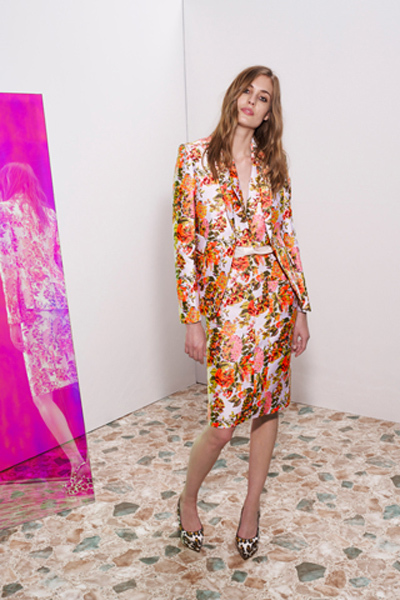 Stella’s new Resort 2013 collection is the evidence. 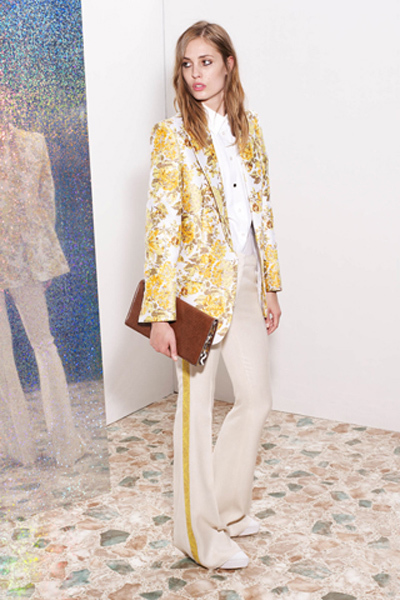 Oversized blazers, flared pants and suits in pastels, soft washed out neons and wallpaper florals. And how adorable that fringed shirt underneath sharp black suit? Something to adopt for a day to night look. 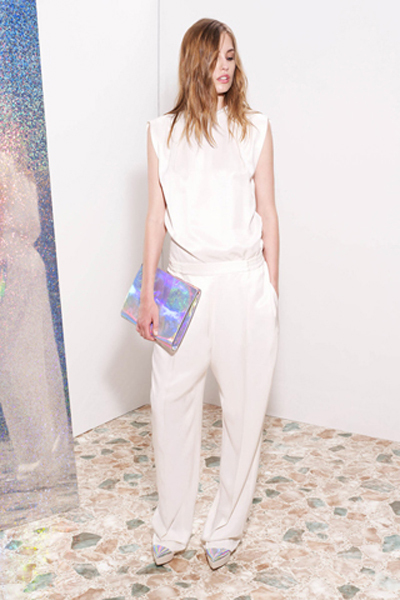 Other standout accessories to note – holographic pointy-toed wedges and clutches. I believe soon we’ll see them invading all street style blogs around the world! 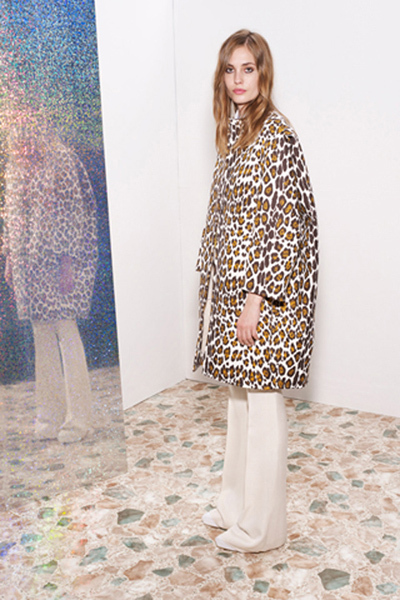 The all leopard look is a great alternative to good old florals head to toe and have all potentials to become a new fashion trend for summer 2013.